When it comes to auto repair services in Keesler Afb, nobody beats Firestone Complete Auto Care. Schedule an appointment for quality car or truck repair today! When your car or truck needs repair in Keesler Afb, there's only one place to go: Firestone Complete Auto Care. A healthy car and strong engine need regular maintenance to stay in shape and keep you safe while driving. What's more, fixing little issues ahead of time can help prevent major problems and expensive repairs in the future. Some signs are pretty obvious, like a flashing check engine light or smoke coming out from under the hood. Other times it's hard to tell that your car or truck needs an auto repair or service, though there's one thing you do know for sure: when your car isn't driving right! Thankfully, you can rely on the professional technicians at your local Firestone Complete Auto Care to help keep your car tuned up and driving its best. Come to your nearest shop for auto and truck repair in Keesler Afb and we'll start with a 100% complimentary courtesy check. Knowledgeable technicians will thoroughly look over your fluid levels, battery, wipers, lights, belts, fluid levels, and more, all to get to the bottom of your car trouble. Expert auto repair starts with expert knowledge! After technicians inspect your car or truck, we'll give you a full report of your vehicle's health and explain any repair services that may need to be done. With almost 100 years of experience, we know what it takes to get your vehicle performing its best. From spark plug replacement to brake service, engine tune up to flat tire patches, we can do it all. We're your full-service automotive repair shop in Keesler Afb! Quality service, satisfied customers, and affordable prices. It's what we believe! That means two things. One, we'll only recommend repairs that are absolutely necessary. Two, the services we perform will be fixed right the first time. And that’s a guarantee, backed by our Triple Promise – a promise that every job will be Fixed Right, Priced Right and Done Right on Time. You can count on it! So whether you're dealing with clunking under the hood, worrisome leaks, or your car just isn't performing like it used to, schedule an appointment at your local Firestone Complete Auto Care for quality advice and sound auto repair in Keesler Afb. When your car goes farther, so do you! 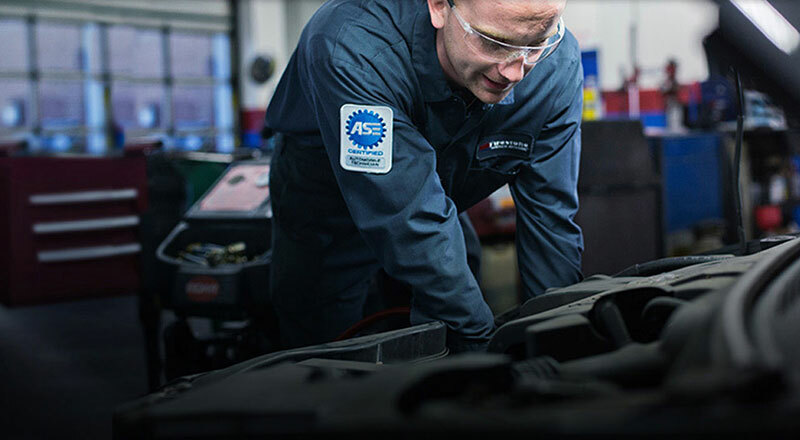 From transmission work to engine tune-ups to engine repair, rely on your nearby Firestone Complete Auto Care for your car repair and maintenance services. We're your go-to tire store, service center, and repair shop. Our professional technicians believe in truly complete auto care. Bring your truck or car to us for maintenance and we promise quality service at an affordable price. Explore our services and at your convenience, schedule your next courtesy check or repair in Keesler Afb, Mississippi today.